The British left India about half a century back after decades of exploitation of wealth and grandeur. They once said that without their support India wouldn’t even be able to make a needle. Hah, sad at their part as Mister Churchill didn’t know that there will dawn a day when it will be people of this land which would be launching their satellites, breaking their records and dominating their own cuisine. 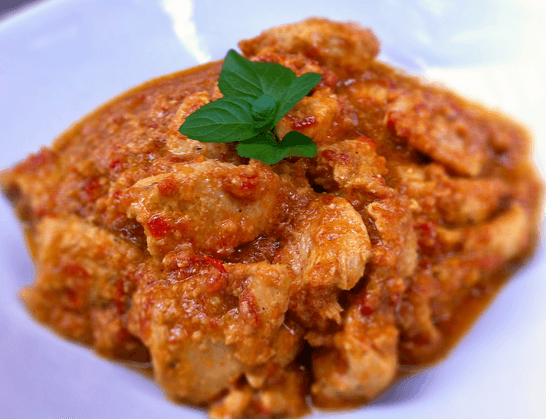 Beginning with the supreme – the national dish of England, chicken tikka masala is an astounding mix of roasted chicken chunks with a spicy sauce, assorted with the fine Indian spices. Just like most of the Indian dishes, this recipe too has great variations in its preparation with respect to the place. A few spices while marinating, or a different cooking way makes a huge difference in the eventual taste. 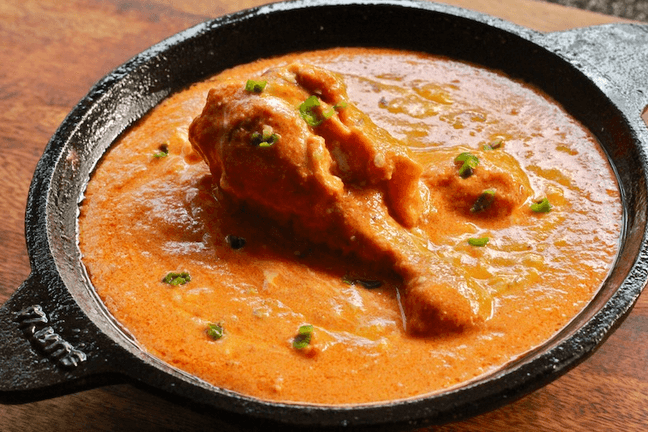 Butter chicken or calling in its more desi name, murgh makhani is yet another chicken delicacy India has offered. As the name suggests, it has two most important things: freshly marinated chicken and loads of creamy butter. A confluence of rich spices and the tandoori smoke gives the dish its incredible aroma. Kofta is something very popular among the Indians; out of the many, lauki kofta and malai kofta are the most popular ones. 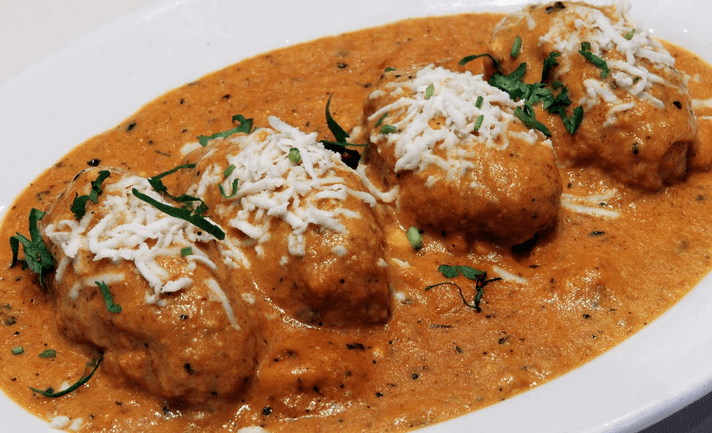 They’re the vegetarian version of meatballs and are served bathing in creamy gravy of fresh malai, undoubtedly brimming with aromatic flavours of the Indian spice regime. Talk about Indian food abroad and don’t mention chhole; this isn’t justified. Graciously devoured with the fluffy bhatooras and pulaav, this is a proper main course curry with great tang in it. Indians like it spicy! Who said that what’s healthy can’t be tasty? 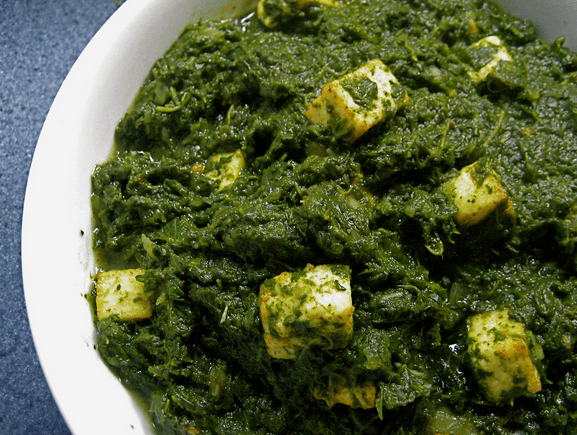 Another popular Indian dish among the Brits is the perfect Indian dish called palak paneer. Going by the name, the dish indeed has the two things – palak – that’s spinach and paneer – that’s cottage cheese. The thick green spinach gravy is such beautifully infused with the garam masala, that you hardly realise that it is spinach. It’s tastier to be Popeye now! 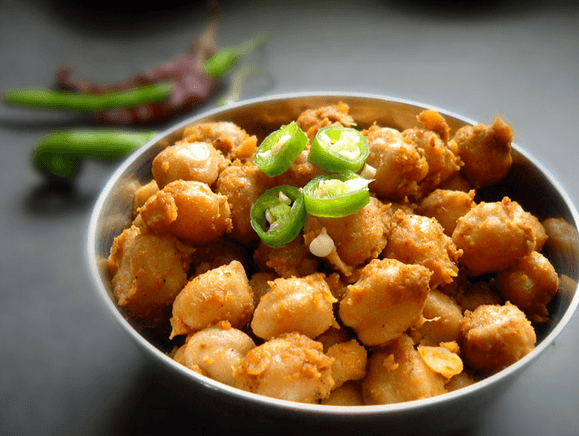 Another popular snack that you’ll find nearly in every street of a North Indian city; it amazingly is somewhat equally available in the streets of London. 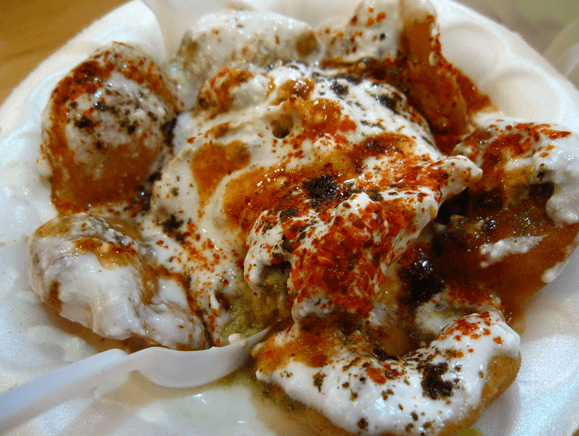 Chaat is not just a dish; it is a scheme of dishes with potato, chickpea, flour and spices as the base and a blanket of sweet and spicy chutneys and curd, which is then sprinkled upon with crispy fried bhujia and herbs. Dessert time! Giving a stern competition to the ice creams abroad, here is an Indian delicacy called Kulfi. It’s nothing but a frozen mixture of dry fruits, sugar, saffron, cardamom with base as pure milk. 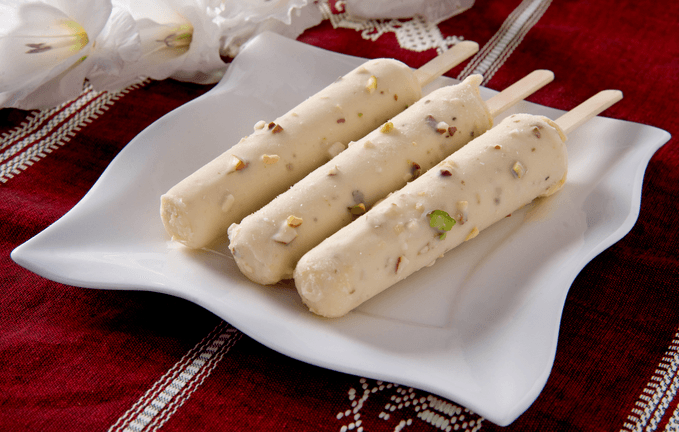 However old may we grow, nothing can beat kulfi when it comes to a duet of sweet and cold. 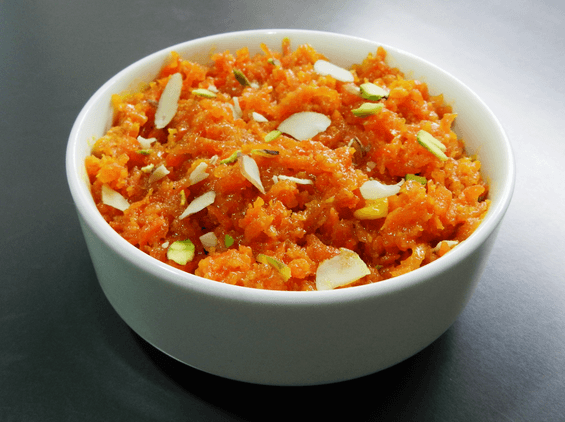 Undoubtedly the most esteemed savory of India, gajar ka halwa hasn’t spared the British. The vibrant orange color of the carrots accompanied with the crunch and aroma of the pistachios and raisins sautéed in desi ghee; what more do you want from life? I believe the pardesis were smart enough to realize this. As mentioned, the Indian food reached the U.K by the beginning of 1800’s, but it took a while – nearly 150 years – till the Indian Independence when Indian food actually became popular. A whole new genre of food had begun in the name of Anglo-Indian cuisine. Today, there are more than ten thousand food outlets in Britain serving the delicious Indian food, implying the mass acceptance of the zest of the Indian cuisine. The British ruled us for nearly 200 years; I bet they won’t mind us ruling their cuisine for a few centuries from now.